29/08/15. Shaqlawa, Iraq. -- Nouri, a 70 y.o. 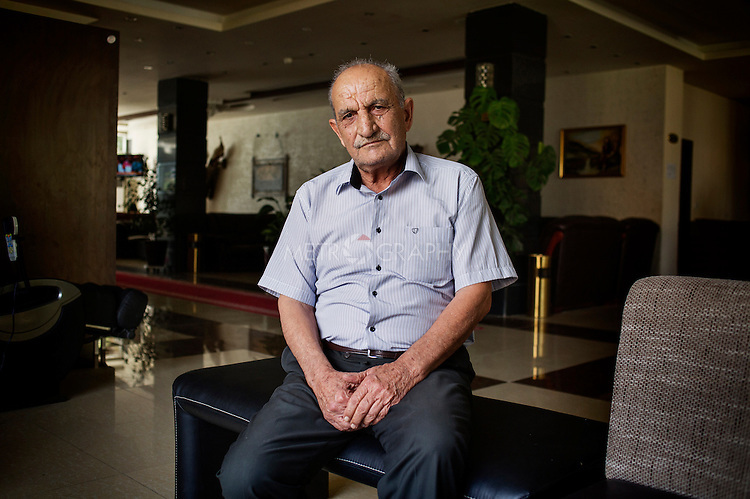 retired army officer, now lives at the four star hotel Basma Alsafeer, in Shaqlawa city centre. At the hotel he shares two rooms with his sons’ families: one suit for 1million IQD and a room for 700.000 IQD. His sons are all goldsmiths, but they could not find a job suitable for them, and have therefore been without a job for the past 18 months. "Here we don't miss anything, but I feel like a tourist: I hope to go back home soon, I wouldn't have left if my family did not beg me to".